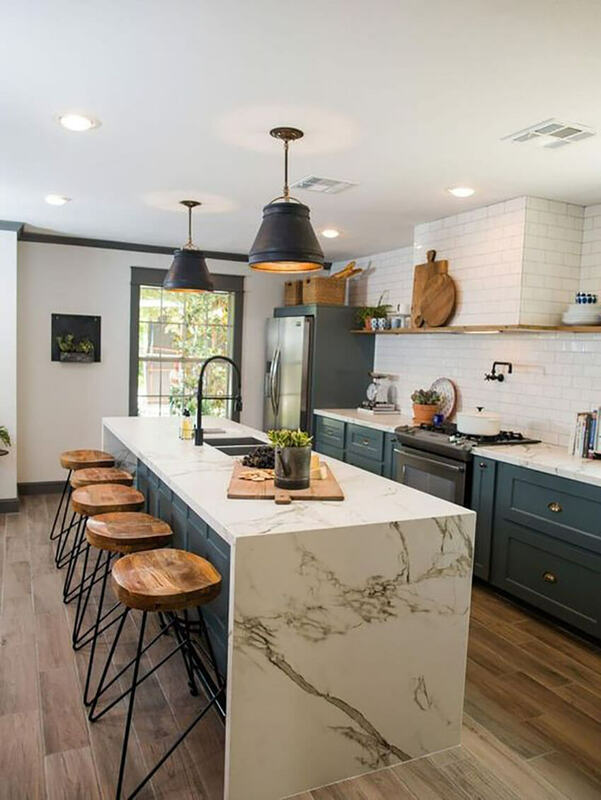 If you're looking for some marble inspiration, here are some gorgeous ideas on how marble countertops can renovate your house! Marble has always been a favorite when thinking elegance and sophistication. 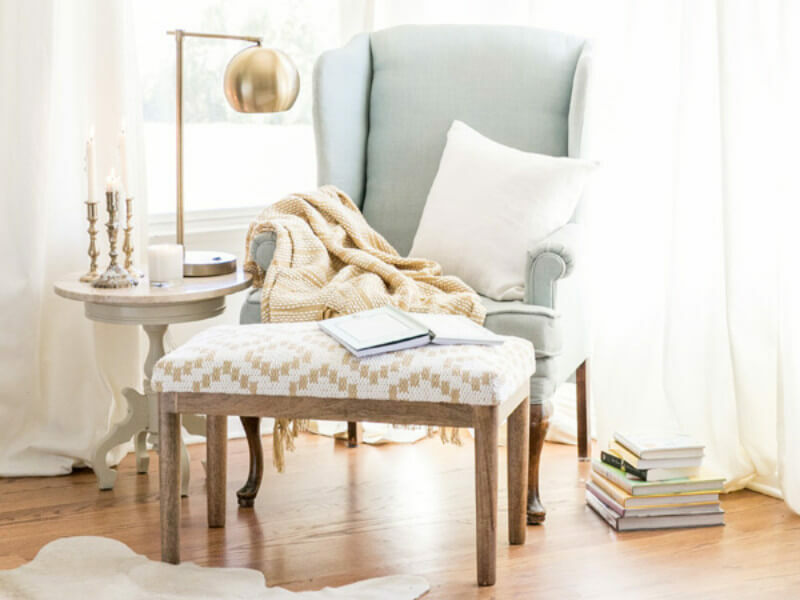 The bright, beautiful look brings character to the room, transforming it from bland to amazing. 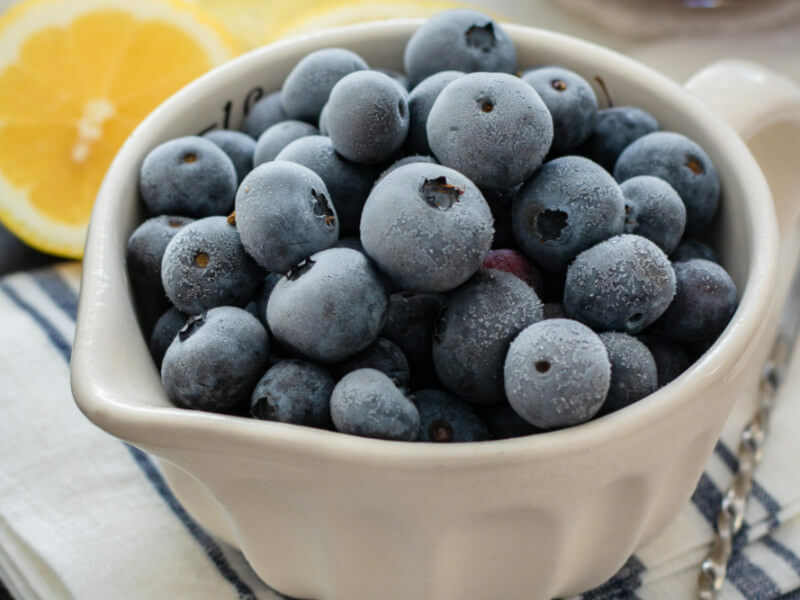 The stone is also wonderful to cook on and easy to clean, and that’s why it’s perfect on countertops for kitchen. 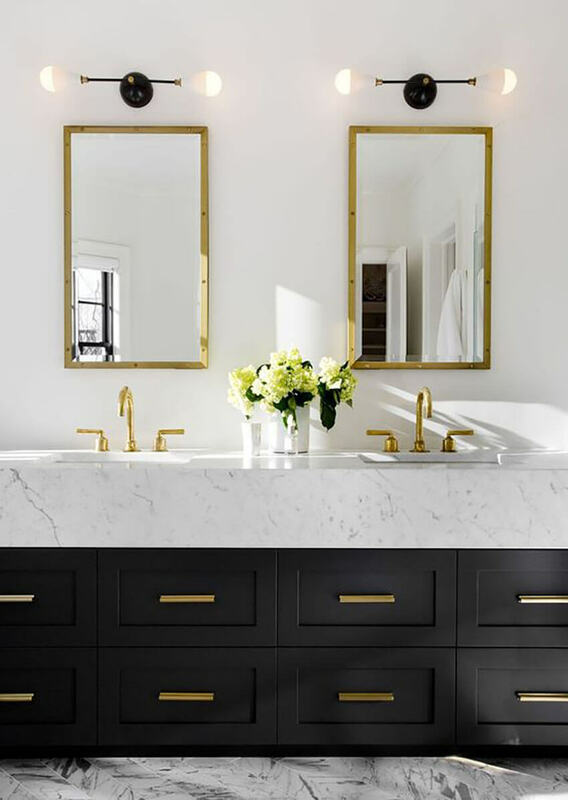 If you’re looking for some marble inspiration, here are some gorgeous ideas on how marble can renovate everybody’s favorite place of the house! 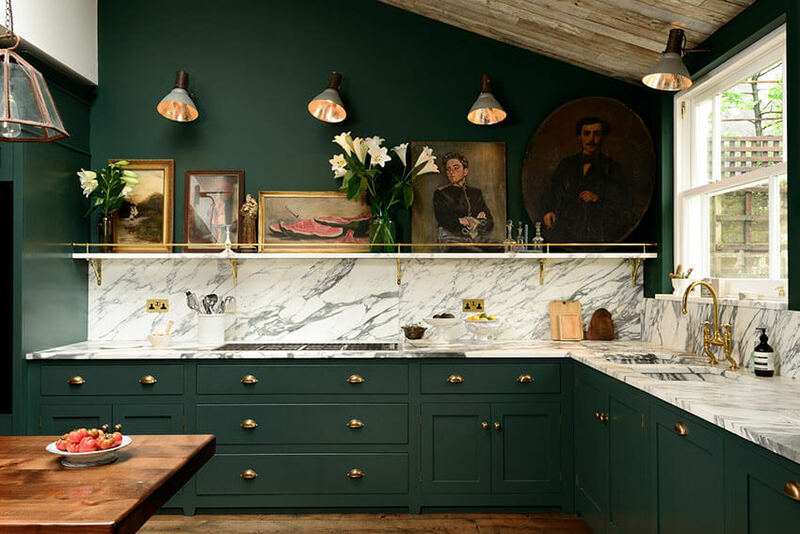 Marble doesn’t fit only in monochrome or minimalist kitchens. 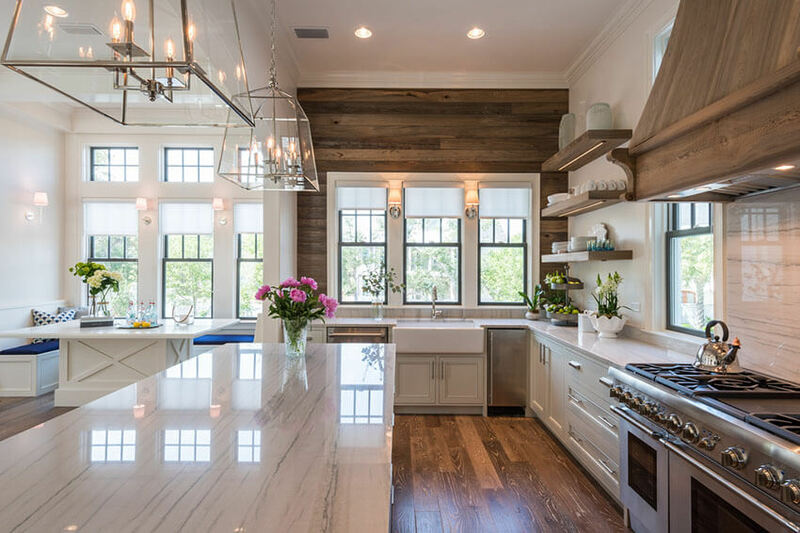 The beautiful stone can be an amazing option to any kitchen style, even those super popular ones like farmhouse style and rustic style. 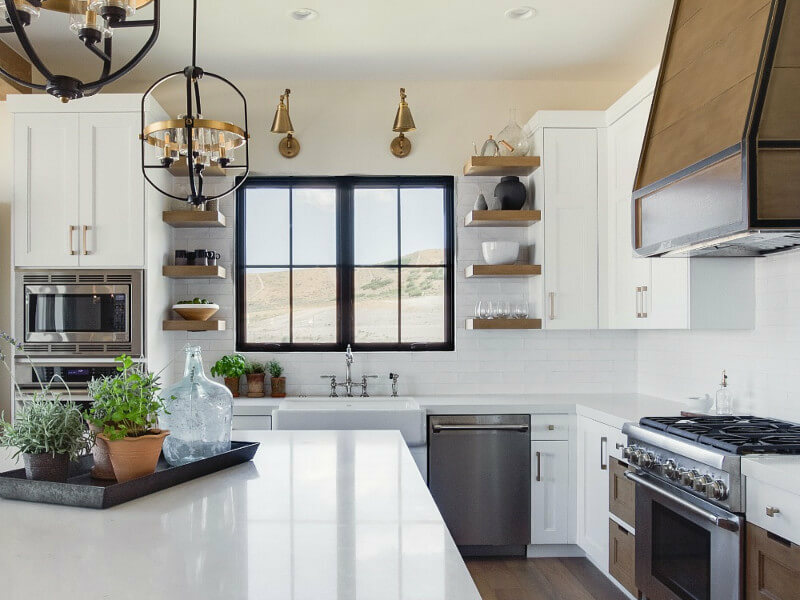 Mixing the elegance of the marble with rustic accents is a gorgeous idea that will renovate the kitchen and uplift the space! The contrast of the bright marble with the brown oak is a powerful mix that impresses everyone! You can also stretch the marble from the kitchen counter to the wall: a beautiful backsplash made with the same stone creates that infinite look that astonishes! Talking about “infinite look,” a design trend that has been appearing in the most unique homes throughout the country is this exquisite detail that transforms the entire room: the kitchen counter (in this case, countertop for island) returning to the floor. 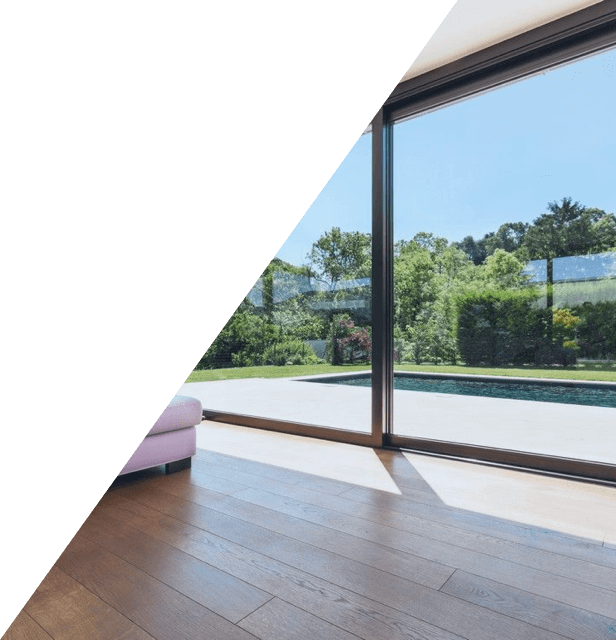 The distinct look transforms the room, going from common to absolutely stunning. Planning on some bathroom remodeling? Even if you’re not, I bet you’re thinking about adding some marble. 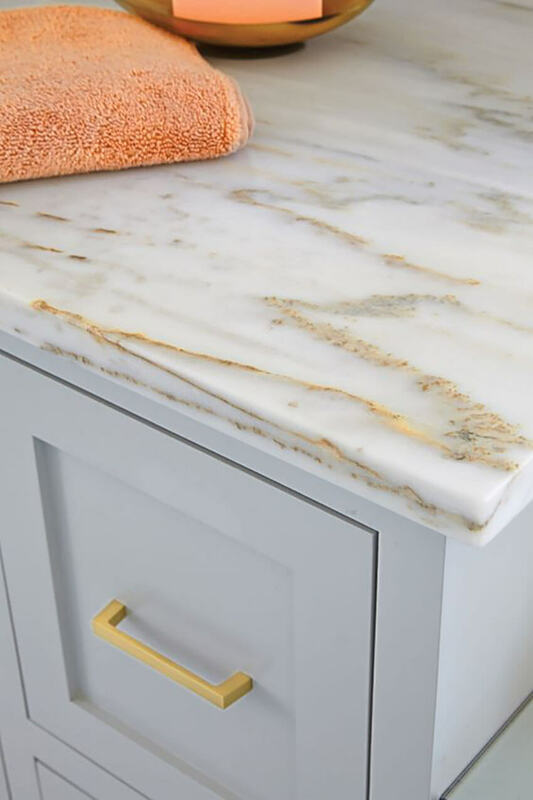 The stone is also a great option for the bathroom, bringing that same elegance and sophistication that it adds to the kitchen, plus the easy cleaning benefit that is perfect for the room. 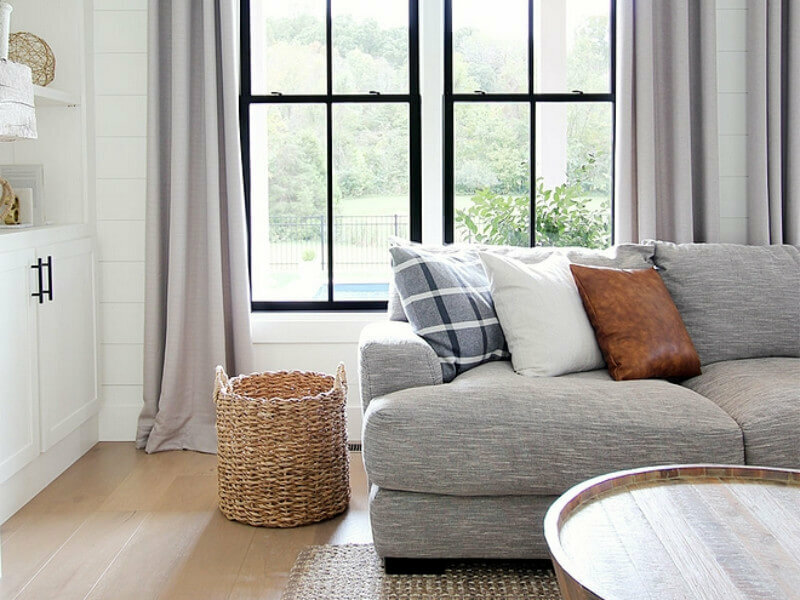 Even though there are many design trends that are popular with homeowners all throughout the country, the traditional look never goes out of style. 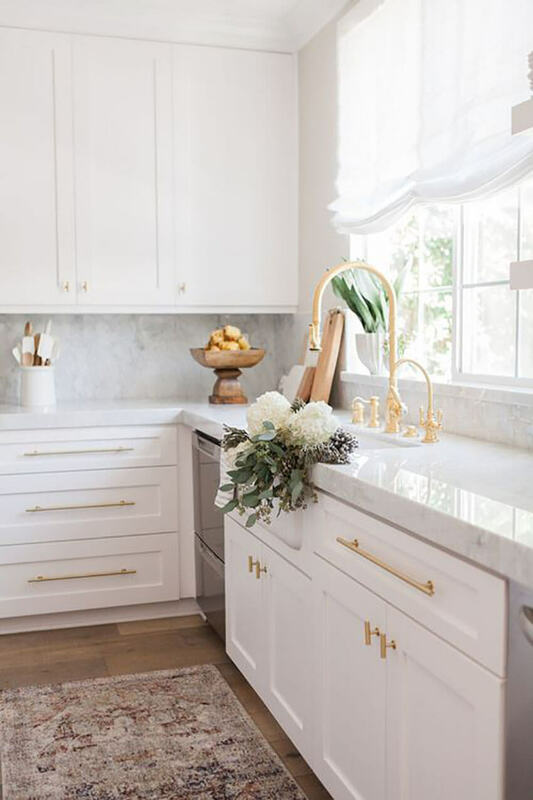 Hardwood floors with white cabinets mix perfectly with a beautiful marble countertop, but you can modernize the look by adding brass fixtures and hardware to the mix. 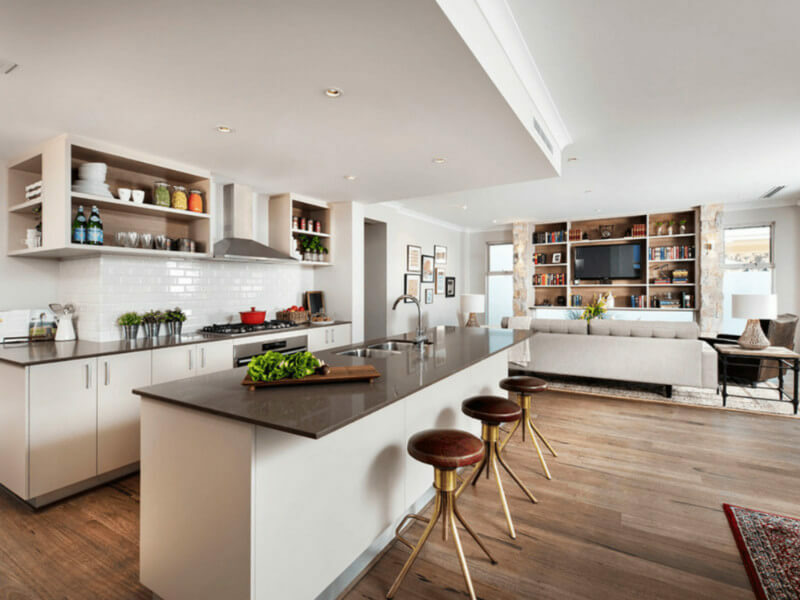 For those who like to step away from the traditional and try different looks and styles, some colorful choices can transform the kitchen. Marble countertops are very versatile and fit any style and trend you may like, including colorful cabinets and appliances. 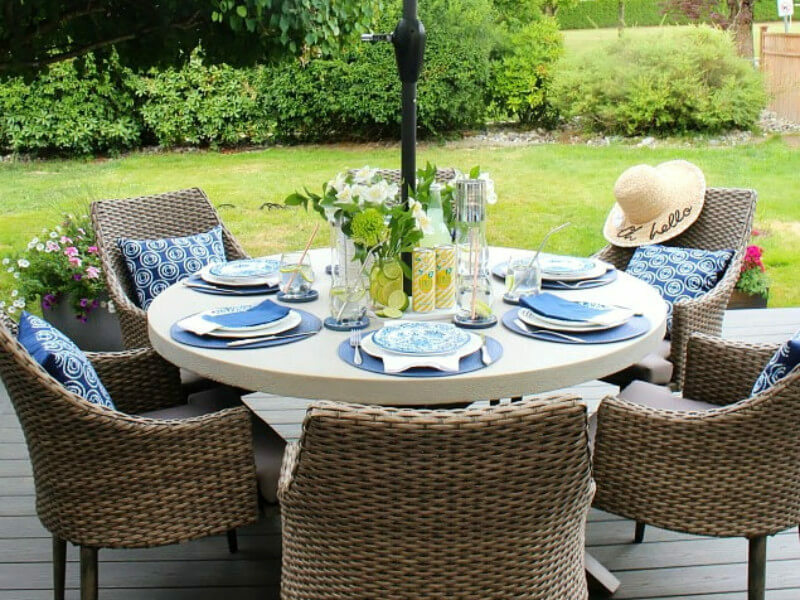 The bright color makes the perfect contrast with any color, whether it’s a bright yellow or a dark blue. Polished finish: From all the kitchen countertops ideas, this is the most shiny one. The high-gloss surface brings out the details of the marble’s color, veining and character is created by a grinding and buffing process. The stone is less susceptible to staining, but it’s easier to get etch marks due to household acids and cleaners. Honed finish: This kind is created by sanding the stone so it has a satiny-smooth, almost soft feel. 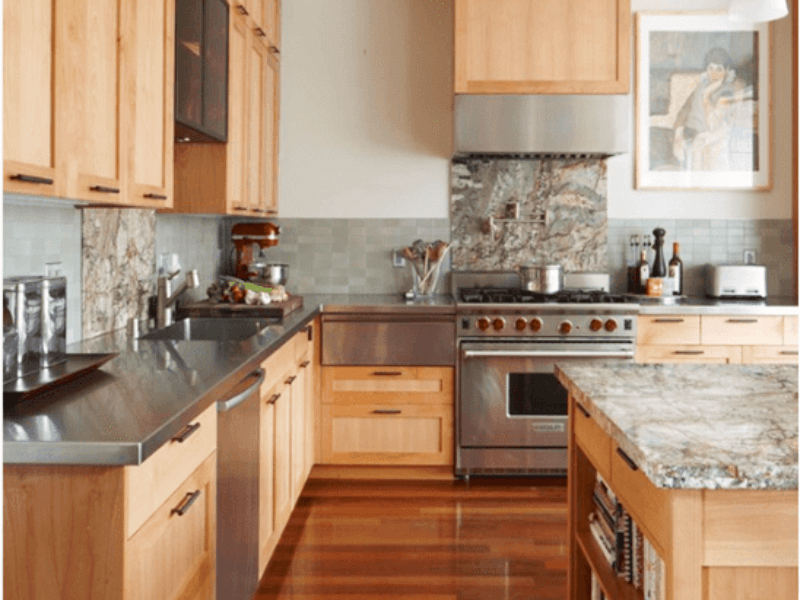 A honed surface doesn’t show as many flaws and scratches compared to the polished finish, but it is more susceptible to staining, so it needs to be sealed in order to be used in the kitchen. Leather finish: This option is basically a honed surface with a leather-like texture added to it. It is most commonly used with dark marbles, and the texture is an effective concealer of fingerprints and other imperfections. Even though it has a soft sheen, it is not as reflective as the polished finish. 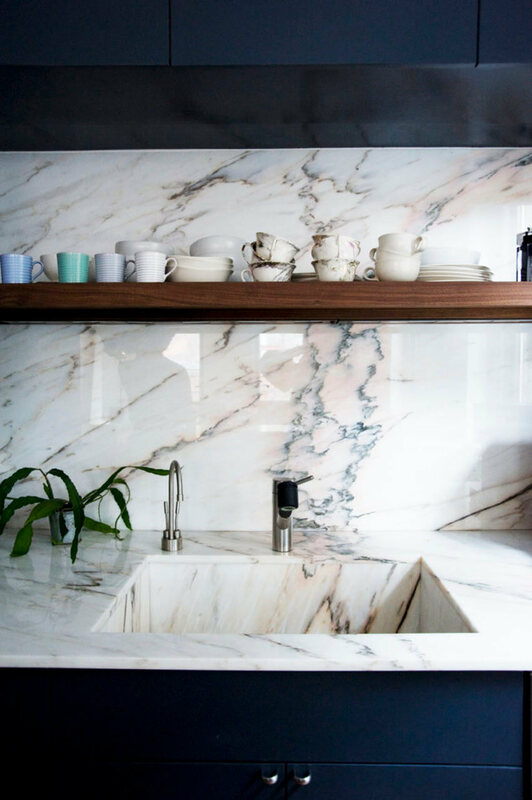 Between the many countertop materials out there, marble is everybody’s favorite option for the kitchen, and there’s no mystery why. 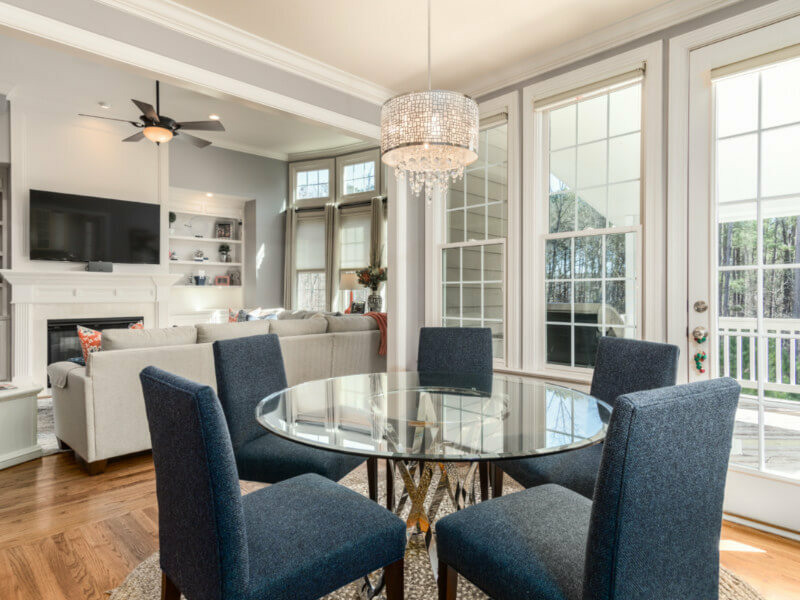 It adds character, style, and elegance to any home. Which option did you like best? Let us know on our Facebook page or in the comments below!